A few months back, I chatted by phone with Michael Morella, Associate Editor at U.S. News & World Report, about the Boston Massacre. 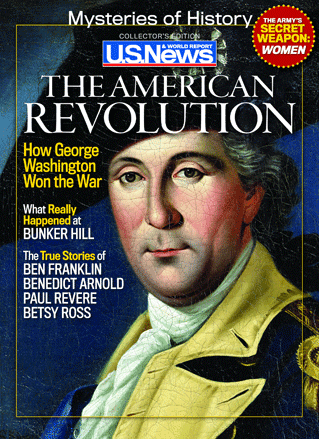 That magazine’s editors had decided to assemble a special issue devoted to the American Revolution. As a grab-bag of basic information and intriguing facts, the magazine reminds me of a little paperback I picked up in the Bicentennial and still have. It could well spark some other young person’s interest in the future. The pictures are a combination of illustrations from the nineteenth and early twentieth centuries that reflect the outlook of their times, photographs that reflect the outlook of ours, and a few eighteenth-century images. 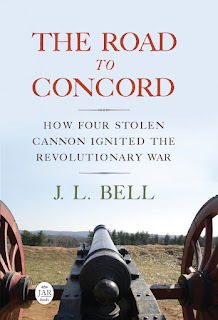 The articles I’ve sampled are all reasonably solid on facts (with the exception of Harlow Giles Unger’s brief description of the tar-and-feathering of Thomas Ditson, Jr., from his book about the Tea Party). I wouldn’t have included four pages on John Peter Zenger’s libel trial a full generation before the Revolution, but then I’m not in the news-printing business. We all have our biases.